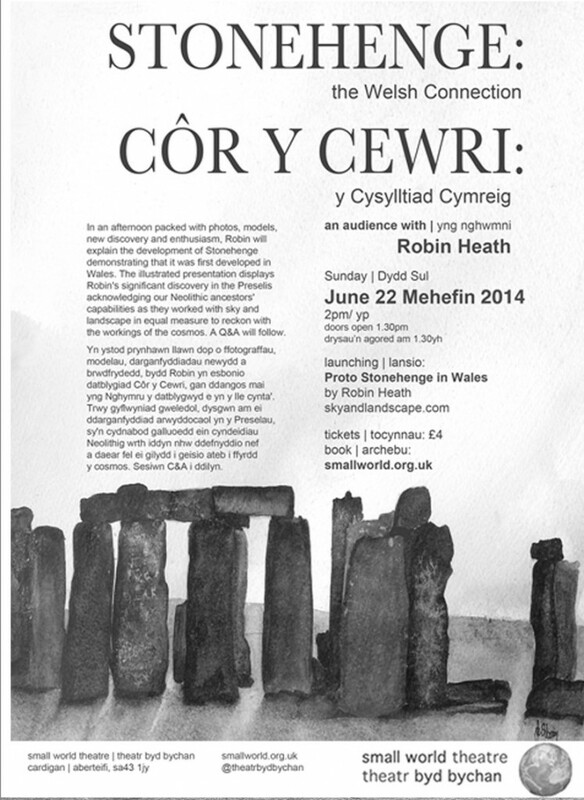 Prehistoric archaeologists are currently focussing their attention on the Preseli region of West Wales. Why are they here, and what are they looking for? 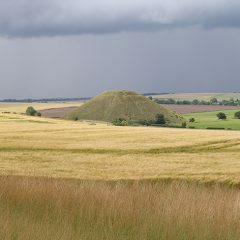 The answer has to do with Stonehenge, 140 miles away in Wiltshire. 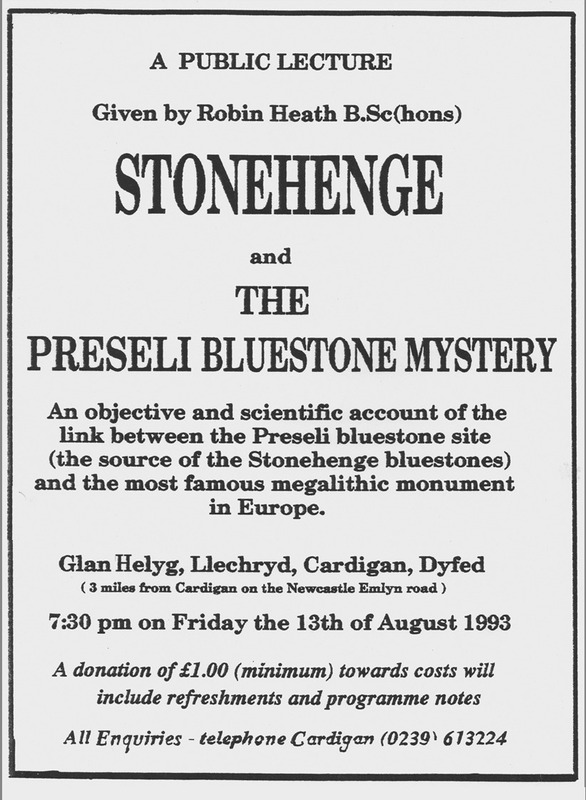 Some of this mighty monument was constructed using bluestones that originated here in the Preselis. A fiery debate is raging about how they got there, whether they were taken by human toil or arrived on Salisbury Plain through glacial action. So archaeologists are now looking for evidence of an original bluestone circle here in the Preseli hills, looking for surviving stones which, if they geologically match those at Stonehenge, will prove that human intent moved them there. 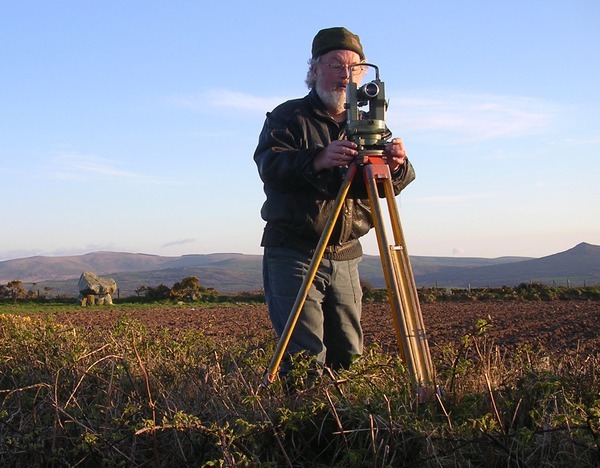 Robin claims to have recently discovered the original design for Stonehenge here in the Preselis, and has surveyed it using a theodolite. He will show this design has more to do with the Caer Sidi of Welsh legend, and the motions of sun, moon and stars, than it has with how a few bluestones ever found their way to Salisbury Plain. In his illustrated and not too technical presentation he will also reveal that Stonehenge was a derivative taken from an original design conceived here in Wales, so how good is that?! A graduate of UCNW, Bangor, Robin Heath was previously a research and development engineer with Ferranti, then a college head of technology department, late of Coleg Ceredigion. 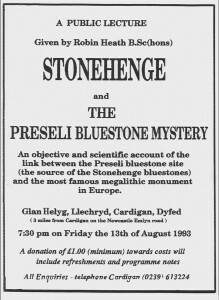 Since 1990, local author and presenter Robin Heath has been finding the prehistoric science embedded within the surviving megalithic monuments in Britain, Ireland and France. 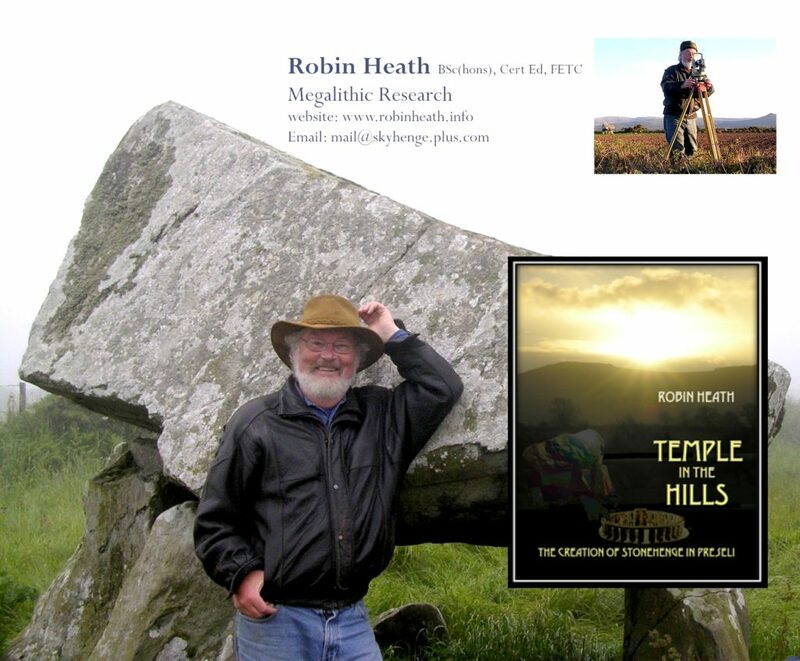 In 1993 Robin founded Megalithic Tours and has written ten books revealing evidence of high culture to be found in the astronomy, geometry and metrology of ancient artifacts. This material has been presented to students at the Prince’s School of Traditional Arts, John Ruskin College, Brasenose College, Oxford, the British School of Dowsing, The Gatekeeper Trust, RILKO (Research into Lost Knowledge Organisation), and the Royal Institute of Mathematics. A launch copy of Robin’s latest book, The Temple in the Hills, will be available at £10. 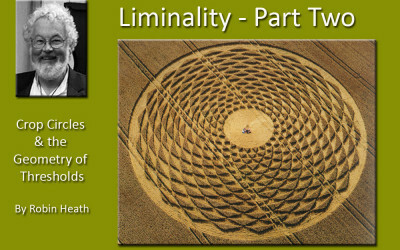 Whether you were there or not here you can now read the transcript of my talk at the Crop Circle based Summer Lectures 2015. My thanks to Karen Alexander for taking the trouble to make this available. 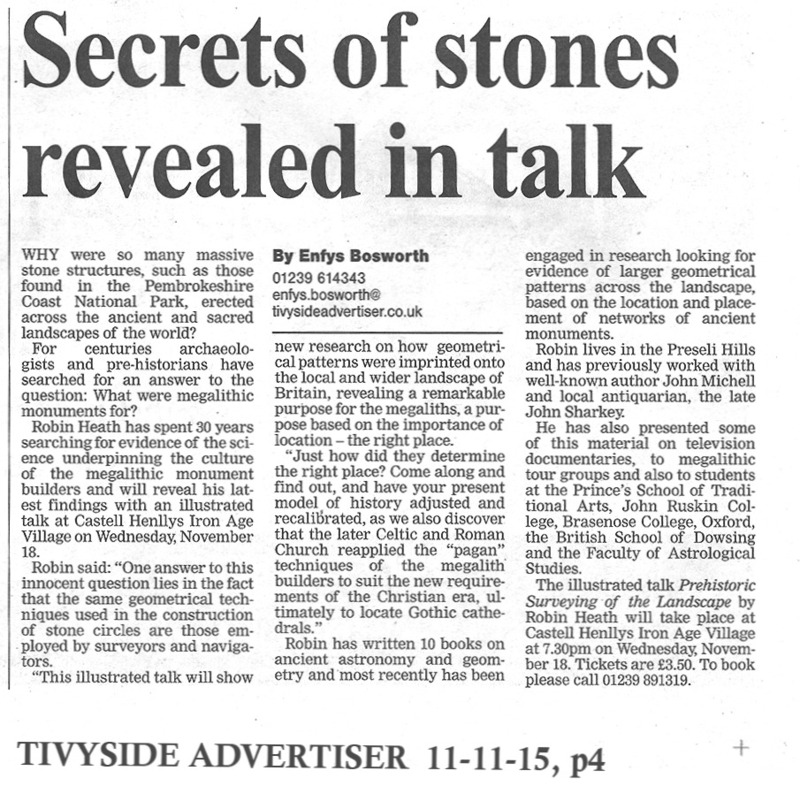 The Tivyside Advertiser has printed advance information for the talk on Nov 18th. 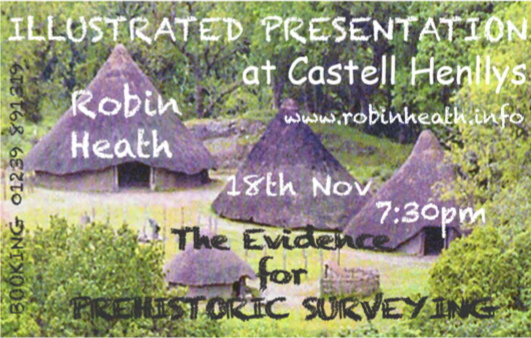 This illustrated lecture will present robust evidence that the world was surveyed and measured in prehistoric times. 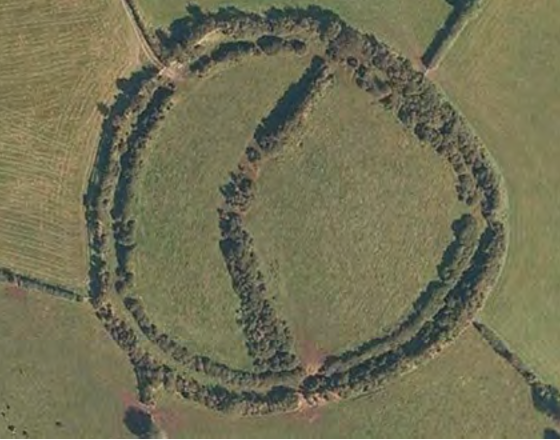 The technological residues from this activity will be shown to be recognisable in modern times, and are found permeating presently employed measures, astronomical, geometrical and geodetic techniques and within prehistoric monuments, where this evidence remains almost completely unrecognised within archaeology. Find out why! Robin Heath has a science degree and was a research and development engineer before becoming the head of technology at Coleg Ceredigion. The author of eleven books, he lectures widely on the subject of megalithic science and the evidence for ancient wisdom and has worked on projects with the media, John Michell and Paul Broadhurst, and his brother and fellow author Richard Heath. 50 Gloucester Place, London W1U 8EA. Buses: 2, 13, 30, 74, 82, 113, 139, 189, 274 pass outside.